Hello Friends today is day 161 sober, It’s a beautiful day in Los Angeles. I needed some new optical glasses and headed over to little Tokyo, Warby Parker has some amazing glasses. I am now at my Favorite Coffee shop in Korea town. My goal this weekend is to write and spend sometime relaxing with my brother. I’ve been working ton of hours that allows little to no writing time. I am so grateful for the readers of Sober is the new black, This month the blog will be more active with my poetry, writing and starting some new aspects, That currently in the works. My book will be done in May and hopefully to print. Since I have gotten sober, I’ve had one craving about a month ago. The mind is so different this time sober because I shut down that craving quickly. It was a huge step in my recovery process in the past, I would dwell and suffer in that craving but I change my thought and reminded myself of step one. It vanished, Cravings are part of the recovery process and I use that experience as a test to see if my program is working. So far my program is working, it helped me get through it and no cravings since. 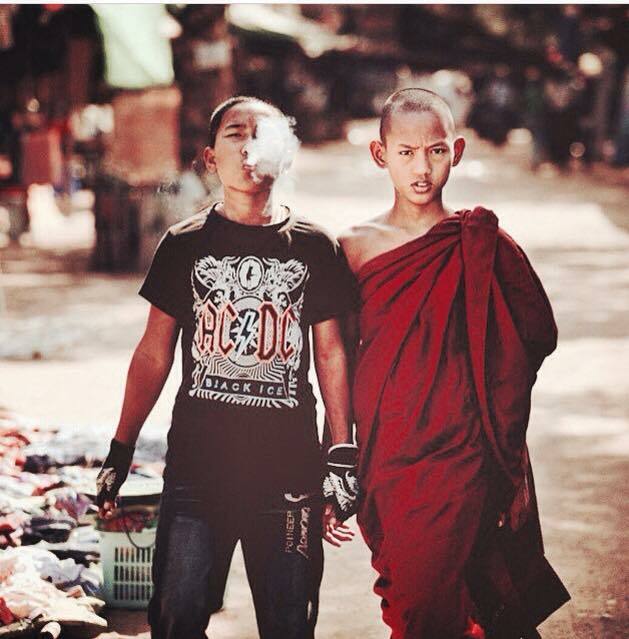 This week I was on instagram and found a photo of a monk and his brother, both so different. I love looking at people from a far or photos and finding a story. When I saw this photo it impacted me tremendously. People could read it as good or bad, I see it more as the monk accepting his brother whole, seeing him only in the light of love and not in his own opinion or ego. I want to start seeing people souls more as opposed to their life scars that lay on their skin. I don’t know their story or why they are the way they are. I am not here to judge but I am here to hold their hand while they weep. I am going to be 29 in a week and I want to start being kinder, letting go of mind funk that makes me feel lesser at times. I need to be kinder to myself. 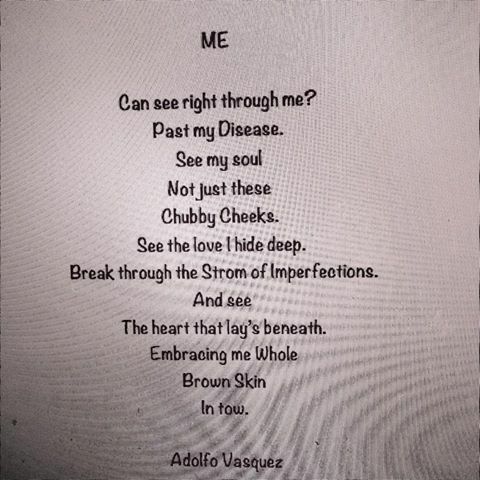 I want people to see past my disorder, my chubby cheeks, the food I eat, past my old ways and see my soul, see the good in me. Yes my disorder hurt a lot of people caused a lot of tears but I am a changed person due to my recovery, Lesson learned and the wheels keep turning. The photo below is of a monk and his brother, I hope today the readers suffer less and become fearless in the fight of sobriety. Sober is the new black.